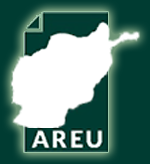 All AREU publications are available for download. Publications are in PDF format and will require a PDF reader. Please use this form to search for publications (leave all spaces blank for a reverse chronological list). New publications are also listed on the right with the most recent at the top.